In an intimate ceremony attended by close friends, acclaimed country hit maker and guitar slinger Wade Hayes married Lea Katherine Bayer in Lebanon, Tennessee on January 25. 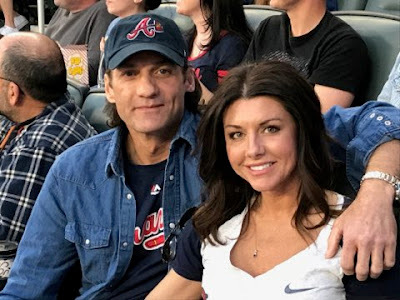 The day following their nuptials, the two headed to Ft. Lauderdale to jump on The Country Music Cruise, where Wade was one of the entertainers on the week-long excursion. The two were initially introduced by Lea’s cousin John Rich, of Big & Rich fame, in 2008. They reconnected in 2015, but sparks didn’t start flying for almost two more years. A Tennessee native, Lea is the market manager for Rich’s Redneck Riviera brands. They were engaged on September 25, 2018 and married exactly four months later. Wade and Lea currently live in a home Wade restored outside Nashville.